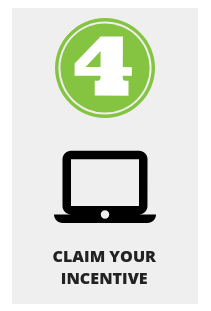 To start your claim, please choose one of the following incentives. For electric vehicles, the claim is completed by the dealership. If you are unsure if they have completed this step on your behalf, please contact them directly.